Gallardo Law Firm wants to make sure that all our clients become aware of the importance of alimony. Alimony, also known as spousal support, helps the lower-income partner with funds to cover their expenses after a divorce, over and above the amount offered in child support. Alimony and spousal support are different from child support. Alimony strictly depends on the judge’s decision. The main point to alimony should be to understand the expression known as the standard of living of the marriage. It may be one of the categories that the law utilizes to decide if you may be eligible for alimony/spousal support; and if being accepted turns out to be the case, how much will it be? The main impression following alimony can be that when your marriage ends, you both ought to be capable of living as you were earlier before the legal separation . The standard of living during marriage shows how you live and in what way or how much does it cost to live that particular lifestyle after getting divorced. A family law attorney will make sure you continue your specific standard of living. That will give you an understanding of the alimony you can expect. For certain individuals, the typical lifestyle includes large households, luxurious vehicles, and extravagant retreats. For other people, it comprises a different household, an economic vehicle, and tours to the seashore. It can be slightly different for each household, but it can be well defined by how much money was available when you were wedded, and in what way you consumed it. A mediator will ask essential questions to help you describe your typical way of living, which can be vital to figuring out alimony. After, you can decide as to the particular lifestyle and what it may cost you every month to keep it that way. There should be no precise formula to calculate alimony. Your circumstances help you determine the amount and type of alimony you are entitled to receive. It also depends on the judge’s decisions. While spousal support may be hard to predict, there are useful guidelines to decide whether to grant alimony and how much of the alimony should be awarded. The standard of living reached during the marriage. The average quantity of time the couple has been wedded. The way each party has developed physically and emotionally, and the age. The non-marital and marital possessions and millstones issued to both parties together with their monetary assets. If relevant, the amount of time required for any party to obtain adequate schooling or preparation to allow such party to find a suitable occupation. The involvement of both parties in the marriage, counting but not restricted to responsibilities at home, childcare, schooling, and job tasks. Base salary of each party. Overall, the only time a judge will honor alimony is when one partner has been economically reliant on the other partner during most of the marriage. We have different types of alimony and having you come in can help us determine which one you can be eligible for. Permanent Alimony. Awarded only in long-term marriages, where there is little or no possibility that a spouse would ever be able to maintain the standard of living of the marriage. Permanent alimony is for one spouse who has been a full-time parent and homemaker for many years. This parent may have work experience or a university degree. But in the years that he or she has been at home, the other spouse has built a career, and the ability to generate income and a standard of living that the house spouse may never be able to achieve. Temporary Alimony. Temporary alimony is paid for a specified period. That is how long the basic needs are covered. There are only a few lasting marriages where there is a reasonable probability that the spouse collects alimony, and will be self-sufficient to the point of being able to maintain the standard of living of the marriage. Alimony rehabilitation. Like temporary spousal support, alimony rehab can be awarded to cover the costs of recovery for some time, but the amount of alimony and the length of time received are tied to a specific plan for the person receiving the payments until they reach financial stability. In other words, alimony is paid to a spouse who cannot maintain the standard of living of the marriage, until he or she is ready to become financially independent. Reimbursement alimony. This type of alimony is based on reimbursement to a spouse for the time and support given to the other spouse while earning a college degree or certification. Usually, it applies to the spouse staying at home. Duration alimony. The duration of alimony is based on the time the couple was married. If you were married for 20 years, financial support must last that long. The judge may also decide the duration alimony if provisions are insufficient to meet the needs of the spouse. Bridge the gap can be considered the economic transition from a married to single life. You may be eligible to receive alimony until you have recovered and can support yourself. Once the need for a second income becomes useless, then you no longer qualify for alimony in your particular circumstances. That would be considered short-term alimony. This alimony can be granted to the spouse that has less income or has been married for a short time only. Gallardo Law Firm also excels in making their clients understand their situation and how they can benefit from alimony. There are many categories; a judge considers whether or not eligibility is possible. The judge will determine if you qualify for alimony depending on the lifestyle you had during the marriage and how dependent you were on your spouse. Do I Have To Pay Taxes On My Alimony? Alimony and child support are two different things, and they show differently on your income tax. Unlike child support, alimony can be deducted from your taxes if you happened to be the one paying and added to your income if you’re the one receiving it. Child support, on the other hand, cannot be taxable to the individual who collects it and cannot be tax deductible for the person who may be paying. Meaning if one of the partners has a vast difference in income, there can be a small tax advantage in reporting alimony on the taxes, although a judge usually does not honor it. A family lawyer at Gallardo Law Firm can provide the answers to any questions you may have regarding family law. Modern alimony laws in Florida allow alimony recipients to go after the other partner’s income even if they re-wed. That can be called a modification of alimony, and it can be allowed since there may not be other household income. The date the judge has set. The day your ex-spouse remarries. The children no longer need the care of a parent at home. The judge determines that the partner has had enough time to become self-supporting, but has not made a good effort in doing so. Retirement or having the judge order to stop alimony payments. One of the partners passed away. Now that we have read about situations that can expel you from alimony duties, you understand more on how alimony works. Gallardo Law Firm wants to help you get what you deserve and more. With separation being highly rated and uneasy, we want to prove that alimony may be right for you. As with most problems in your divorce, you and your spouse can agree to the quantity and how long spousal support will last. But if you can’t agree on the terms, the court will set the terms for you. Many factors may be considered when a judge wants to decide on granting alimony. The first thing may be to determine if the alimony may be permanent or not. If it happens to be rehabilitative, the first determination is if it would be in a lump sum or paid in cash. The standard of living has to be established during the marriage of the party. How long has the party been married? The age of each partner/spouse involved. The emotional and physical condition of each party. The financial stability and resources of each partner. The liabilities and assets each partner has separately and jointly. The amount of time required for either partner to receive an education to maintain a reasonable standard of living and find a job. The contributions of both parties to the marriage, including homemaking, childcare, schooling and any additional tasks. All the income from all the sources of each party. Alimony can be challenging throughout a separation, but here at Gallardo Law Firm, we make sure to provide care for our clients. Alimony problems do not have to be solved alone. If you’re expecting to pay or receive alimony, here at Gallardo Law Firm, we offer legal representation. The query of whether you modify your allowance can usually be reached by reviewing the capacity you have to earn. That does not necessarily mean that it will be your earnings at the time you go to court. Other important aspects would be the standard of living and how much your spouse earns. You may also be obligated to make some changes in your lifestyle and occupation. For instance, if you are a part-timer and you don’t earn enough; they may require that you find a full-time job with a better salary to suit your needs. Experts called “occupational assessors” may occasionally be hired to inform the court on the job forecasts for a partner who has not been entirely working for a period of time. Lastly, if you are receiving spousal support but your partner declines to make the mandatory payments take legal action immediately and request the court to enforce your alimony order. Monthly alimony can be enforced just like any other court order. When handled correctly, it can be implemented with the purpose of obtaining steady payments. If needed, the payer may be incarcerated until he or she pays. If your ex-spouse has failed to pay spousal support, call us today. We are here to enforce your alimony rights. Spousal Support. Who Pays Alimony? Alimony is separate from child support, that is, who pays alimony have to pay separately for child support, alimony calculator is differently. Yes, The parents are paying child support and paying alimony have to pay taxes, in most cases, gross revenues are directed to the spouse who pays these taxes, they are gifts taxable. What is the spousal support definition? The spousal support definition is a legal obligation for financial assistance from one person to his spouse before or after divorce . The obligation arises from the laws of divorce is issued. Formerly, the husband paying alimony was common to his ex-wife, but there is now gender equality with the corresponding recognition that a former husband may also be entitled to alimony from his ex-wife, that is, a spousal support taxable. What is the difference between alimony and spousal support? Spousal support vs. alimony is given when you talk about alimony and spouse support, you are talking about the same thing, mean the same thing, only in some states is called one way and some another. Alimony can be called as a kind of spouse support. What types of Divorce exist? Divorce and alimony can be given in two different fashions. It can be either a fault or no fault divorce case. In some locations, no fault divorce cases would still take into account the divorcees behavior when dealing with property or child support. Bellow you can read a list of kinds of divorce cases and what they mean for the client: No Fault, Fault, Summary, Uncontested, Collaborative, Mediated. See more in our Divorce page. Who has to pay alimony in a divorce? Those spouses who financially support the home for years and so it was ruled by the judge in court. All those people who after the divorce has been found to need financial support from the spouse. How do you get alimony? 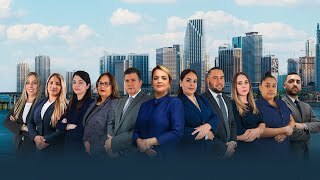 After the divorce you need to come to our Gallardo Law Firm, where their divorce lawyers know the different types of alimony that there determine which is most suitable for you and so you can get alimony. The time you have to pay alimony depends on the agreement that was issued in court before a judge and also depends on the type of maintenance in which you find yourself involved. First, please contact our office and ask for an divorce attorney by spousal support. Then we will prepare all the necessary documents and present the case. While you are waiting for the final judgment in the case, you can get temporary ptsd spouse support group. Do I have to pay taxes on alimony received? Alimony is deductible for the person paying and is considered taxable income to the person receiving it. If your income is above a certain value you will pay taxes, while q is below the value will never pay. What if the court grants alimony me but my husband dies? If the court accepts your spouse to pay alimony and will not be paid in a lump sum, it is important to make arrangements if her husband dies. You can ask the court that you be named beneficiary of the life insurance policy her husband to fulfill his obligation, as well as being notified if he fails to pay premiums on the policy. What if I decide alimony while getting married again? The remarriage may be justification to terminate the benefit of maintenance. But this does not automatically end when you remarry. He or she must ask the court to end the payment of this support. What are the tax brackets 2013? In 2013 there have been changes in the tax brackets. When calculating the amount of tax you want withheld from your pay and to calculate the amount of estimated tax, taking into account changes in the tax law that will take effect in 2013. What would be the average of alimony and child support payment? Part of being fully informed about their rights to child support knows what the calculate alimony payments, that is to say the typical alimony payments. So, if you agree to pay more or receive less than the guideline is doing it voluntarily and with full information. The average cost of alimony and the average child support payments are given among other things due to the cost of child care, the costs of health care not covered by insurance, special education or other needs children, travel expenses related visits. A spouse must pay alimony after divorce when the judge issues an order that the wife or the husband needed for different reasons spouse support quotes. How much taxes do I pay on alimony? The amount of taxes to be paid depends on the amount of money you receive in total for the year.